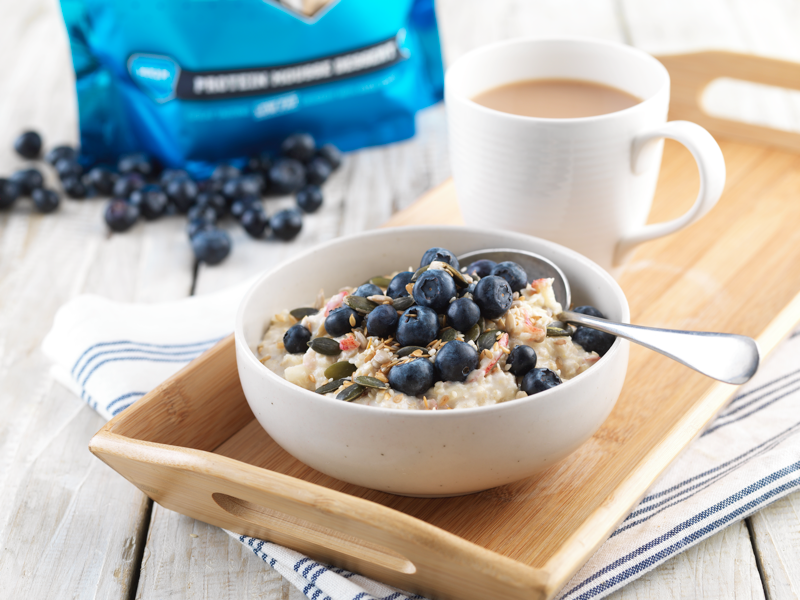 A great alternative to porridge or muesli that will give you plenty of energy, this breakfast is high in protein, with added blueberries and seeds for a nutritional boost. If you prefer, you can use semi-skimmed milk in place of almond milk. Mix together the Milky White Choc Muscle Mousse and oats in a bowl and pour over the almond milk. Stir, then cover and refrigerate for at least half an hour until the oats have softened and absorbed the milk. When you’re ready to eat, grate the apple into the oats (including the skin but not the core) and stir in. Serve with blueberries and mixed seeds sprinkled over the top.